IFA is barely underway and we already see pricing info for many of the new gadgets yet to be announced trickling in. The latest tidbit comes from Russia's branch of Media Markt and it's about the Samsung Galaxy Note 4. 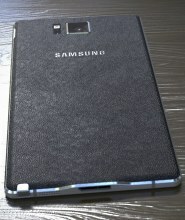 The Senior Manager at the retailer claims the Galaxy Note 4 will launch at RUB 35,000, the same price as the Galaxy Note 3 last year. The price is pretty steep, it works out to $940 or €715, but that has more to do with the Russian market than the worldwide price of the new phablet. The Galaxy S5, for example, goes for RUB 30,000 ($800/€615). A leak from mid-August suggests the Note 4 price in Indonesia will be the equivalent of €600. 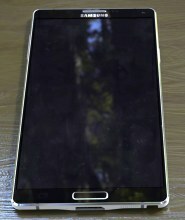 Samsung's new flagship phablet is expected in the Russian market in late September or early October. There's a solid chance that the worldwide launch will follow that timeframe too, Russia isn't known for early flagship launches. 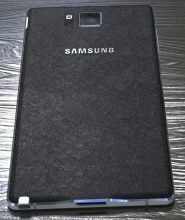 The Samsung Galaxy Note 4 will be unveiled at tomorrow's Samsung UNPACKED event and is expected to bring a 5.7" QHD screen, Snapdragon 805 or a 64-bit Exynos 5433 chipset, 16MP camera and more sensors than you can shake a stick at. By the way, Samsung will have to show at the event, here's what we expect to see tomorrow. Thanks to Denis for sending this in!